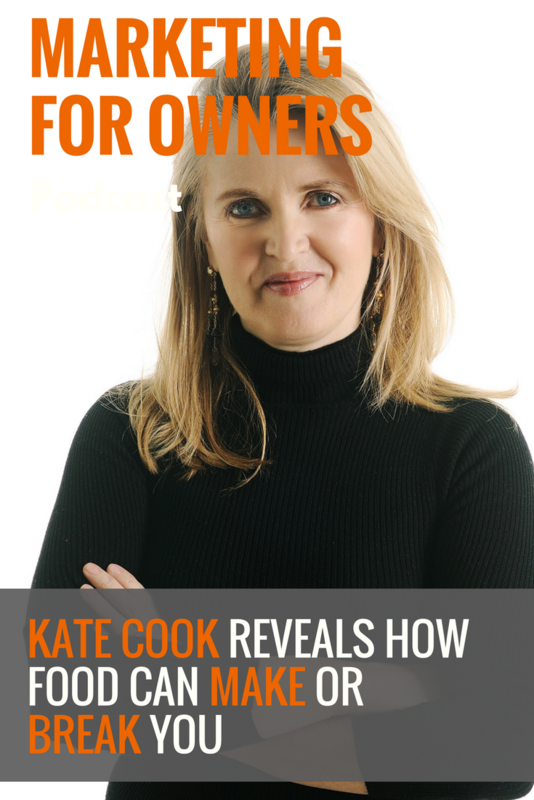 Kate Cook has been a nutritional therapist for almost 20 years and has a clinic on London’s infamous Harley Street. Known as The Nutrition Coach, she has seen well over 7,000 patients one to one and now visits big companies to promote wellbeing in the workplace. She now has hundreds of clients with whom she has worked with on many wellness programmes. The food we eat (and don’t eat) has a massive influence on how our bodies operate, and over the past 5 years, Kate has seen the conversation about nutrition take off. People are looking for a way to take their health into their own hands, rather than simply leaving it to doctors to prescribe them with pills. Food is a way in which people can make themselves feel better and allows them to own the benefits. Food is capable of elevating the symptoms of many illnesses, but also change the way we think and feel. For humans, it is our main source of energy, and some dietary changes can fuel us more efficiently. The benefits can be felt personally and professionally, which is why many businesses are turning to Kate to help encourage optimal productivity, improve morale, and even reduce sickness. Certainly in the UK, there is a disengagement between the head and the body. We have become so a part of technology that we have lost our ability to be human. In business, being human is what makes us different from just being a robot. This isn’t a new thing and it comes from the industrial revolution when we started to step away from our traditions. When you look at countries which industrialised later, for the moment at least, they still have many of their traditions. It is these traditions which make us human, and they’re becoming lost because we no longer have the time to spend in the kitchen. As a result, we eat food which is devoid of nutrients, and we’ll end up becoming extinct because of what we put in our mouth. Kate is often asked to go to a company and is done so under health and safety rather than employee wellness. That’s because you’re far more likely to have a manual handling accident if your blood sugar levels are not balanced. And that happens as a result of coming to work without breakfast and drinking energy drinks. When she goes in, she may put in place a wellness programme, such as testing a whole workplace and will then put in place strategies which prevent critical health issues. With markers in place, these strategies will help stop critical health, such as heart disease, from becoming a reality. After all, a business cannot run without people to actually help run it. Often, all people need to hear is an educational message about choosing the right food. At a simpler level, she’ll help people to manage their energy levels throughout the day. People have no voice which educates them in the food they eat. Often, there is a lot of confusion about which are the right foods to eat, and much of that comes from the hearsay they get from the media. Although a company should never tell their employees what they can and cannot eat, they can step in to be that voice. If they don’t, they can put themselves at a disadvantage as their human resources turn up for work knackered, depressed and sick. Kate has also found that companies who eat together, stay together. At The Royal College of Physicians, food is provided for free to their employees, and they retain their staff better and get good results from them. And while she isn’t suggesting companies go to that level, you should still ensure they have real food to eat instead of providing them with junk. It isn’t about wagging your finger but empowering them to have the life they deserve. And while a company allows a culture of speed and technology at all costs, they’ll lose the human qualities which help it operate. Little micronutrients like zinc and magnesium power our machines and come from food. During the manufacturing process of quick meals, these are lost. And slowly, our machines are stopping. Foods with zinc help with mental performance and stress, while magnesium, which comes from green vegetables, help mitigate stress. In 1972, the number of obese women was around 2%. Now it’s about 32%. With the rise of convenience food, the figure has rockets, and now obesity is another worry we all have. It isn’t due to laziness and a lack of exercise, and doing that alone will not fix all the problems. It’s about our metabolism and how we get a different energy from different foods. As you might expect, sugar metabolises differently to broccoli. And foods have differing effects on the body. If you work from home or are an entrepreneur, you have to be willing to put these boundaries in yourself. However hard you work at the office, you clock off at 5 pm. When that isn’t the case, you need to ensure you have the energy you need and spend it wisely. Although Kate works long hours, she doesn’t drop off in front of the TV in the evenings. That’s because she has enough energy to keep her going throughout the day. You can’t let work steal your life and your energy. By having enough of the right fuel, you can prevent yourself from being dead mentally, physically and spiritually. It is important to remember that food is also about enjoyment. The Italians and French live through their food. Good food is their staple, it is given greater importance, and they’re often more productive nations than us. So don’t have an all or nothing mentality and start only drink green smoothies. The point is to eat real food and to take pleasure from it. When employees have a work break, they need to be sat away from their desk and allowed to eat their lunch in peace without being hassled. And allow them to have their full lunch break instead of stuffing down their sandwich with one eye on the clock. But all of this cannot be preached to people. It’s about education. Allow them to make the right decisions for themselves by being fully informed. Kate uses services which deliver ingredients and recipes to her door. These allow her to cook a variety of interesting meals, rather than the same one’s week in, week out. This helps to keep food fun, as well as keeping her genuine. And when you’re buying and making real food, don’t worry about the trends of which foods are good and bad for you. If you want a successful company and business, you need to engage with the right foods yourself, and to promote the right choices to everyone else. And don’t forget to eat breakfast in the morning. To learn more about what Kate does as The Nutrition Coach for individuals and businesses, visit the website. You should also check out her latest book which came out in December 2016 called Kate Cook’s Wellness Guide. Keep up to date with good nutrition in her blog posts at her own website, and you can also find out more information about hiring her as a wellness speaker.